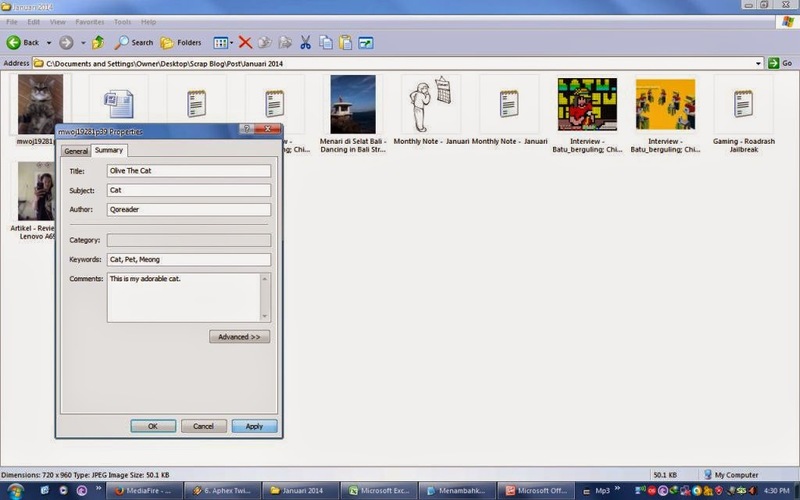 In addition to the conventional naming files into image, perhaps not many know that the image files such as pictures can be given any information inside the file with metadata tag. 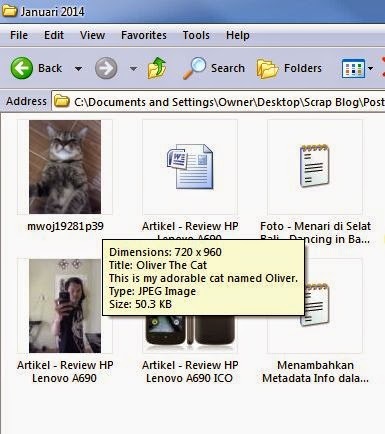 A simple example is, the image file name can be changed by inserting some information, for example as shown below. I want to share a trick how to create a metadata tag information like the example above. 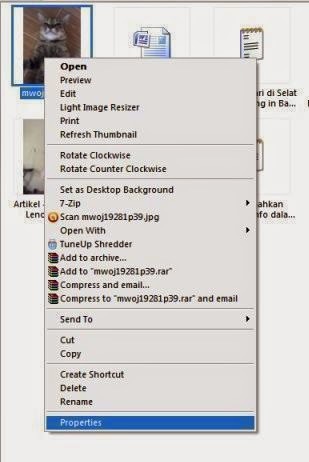 This trick is great to organize photo files in case giving long name is not effective as the usual way, so it takes tagging in the file instead. 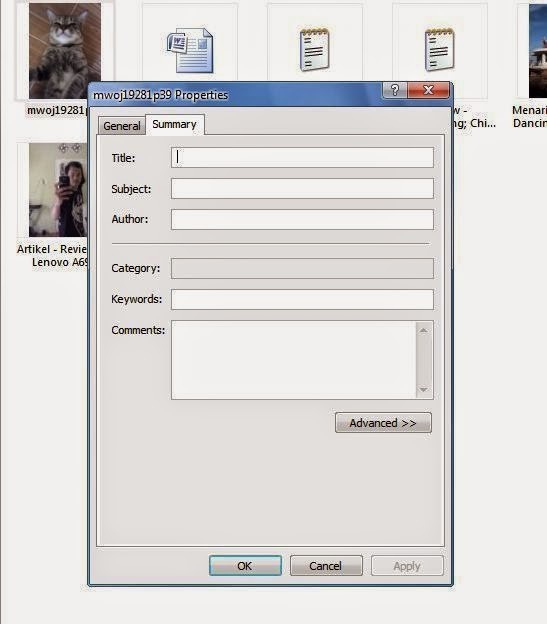 First, navigate to the desired image file, right click > properties. Second, point to the "summary" tab, there is a form that can be filled like, Title, Subject, Author, Category, Keywords, and Comments to provide further details and complete information. When finished, click "Apply". Third, navigate to the new image file, profit. This trick also applies to the addition of many files at once.